The guillotine was the only mean of execution that the French republic has ever known, it has been used from 1792 up until 1977. It wasn't abolished until 1981. 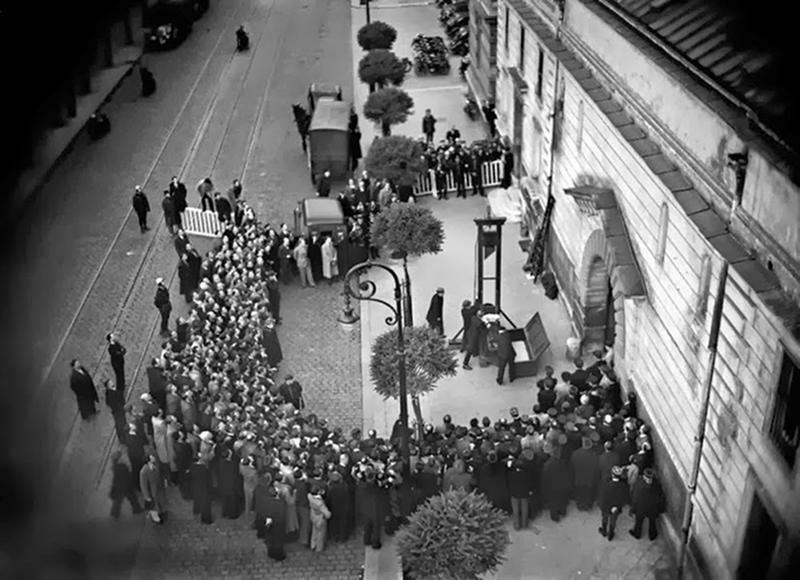 While many see the guillotine as barbaric, it is actually a lot less gruesome than it looks considering that capital punishment was very common in pre-revolutionary France. For nobles, the typical execution method was beheading; for commoners, it was hanging, but less common and crueller sentences were also practiced. When Dr. Joseph-Ignace Guillotin proposed the new method of execution to the National Assembly, it was meant to be more humane than previous capital punishments. Also, death by guillotine is seen as an equal method of execution for all criminals regardless of rank. Compared to other forms of capital punishment practiced to this day, the guillotine remains one of the most humane method if we're judging based on pain and “clean-ness”. The condemned don’t feel pain and death is almost instantaneous. Although, the head of the victim remains alive for about 10-13 seconds, depending on the glucose and blood levels in his brain at the time. This doesn't raise much concern though as it is belieced that the head is believed to be more than likely knocked unconscious by the force of the blow and blood loss. For almost 200 years the guillotine has executed tens of thousands of culprits (or not), delivering a quick and painless death. 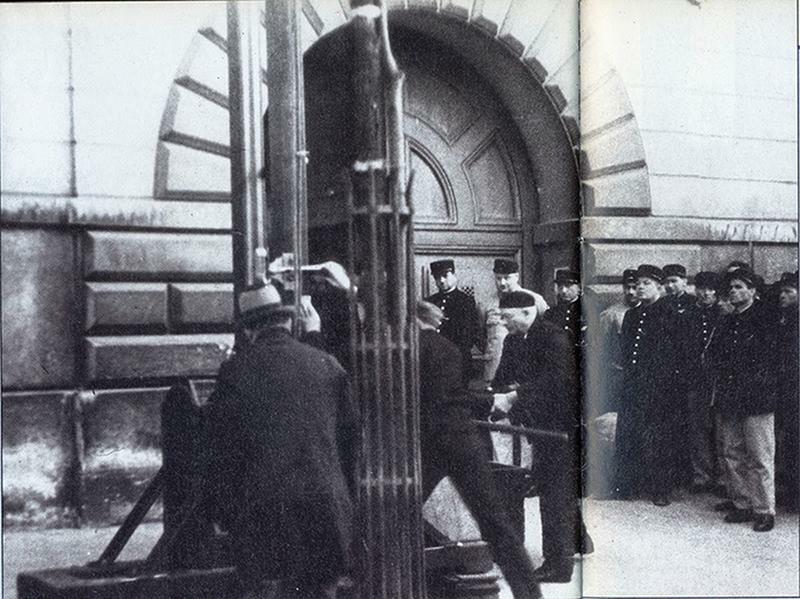 In the early morning of 17 June 1939, Eugène Weidmann became the last person to be publicly executed by guillotine. He had been convicted of multiple kidnappings and murders, including that of a young American socialite. 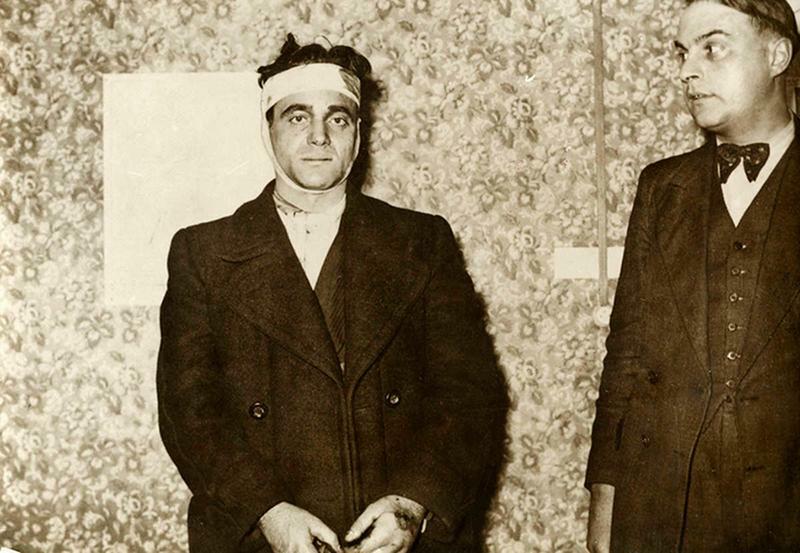 Beginning with the botched kidnapping of an American tourist, Jean de Koven, Eugène Weidmann murdered two other women and four men in the Paris area in 1937. He lured his victime by the false offer of a position as a governess; a chauffeur; a publicity agent; a real estate broker. Born in Frankfurt-am-Main in 1908, Weidmann already has criminal records even as a teen. He has also served prison terms for theft and burglary in Canada and Germany prior to his arrival in Paris in 1937. The unruly crowd delayed the execution beyond the usual twilight hour of dawn, enabling clear photographs and one short film to be taken (video). After the event the authorities finally came to believe that “far from serving as a deterrent and having salutary effects on the crowds” public executions “promoted baser instincts of human nature and encouraged general rowdiness and bad behavior”. 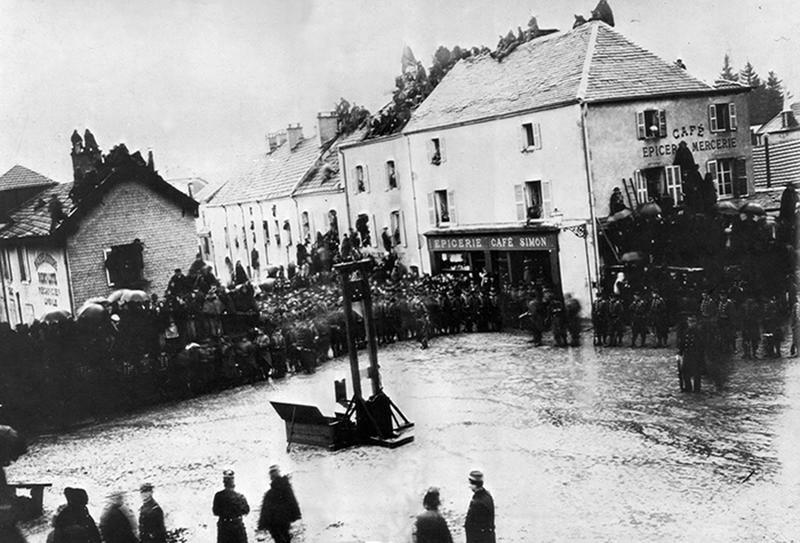 The “hysterical and rowdy behavior” by spectators was so scandalous that French president Albert Lebrun immediately banned all future public executions. Preparing the guillotine (the spot was changed later). The brain can function for a while after the head is chopped off, well, that's not so bad when it is a murderer suffering that fate. Murder, even War, is not forgivable, never was, never can be.